Floyd Mayweather was recently revealed to be the highest paid athlete in the past twelve months. It doesn't really come as a shock especially after his fight with Conor McGregor last summer. He's always been a flashy guy and recently, he showed off his "billionaire watch" which costs $18M. 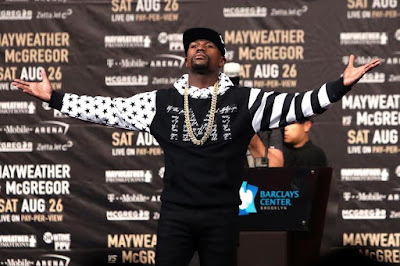 Despite this type of money that he has, Mayweather is currently being accused of finessing a Nigerian company for hundreds of thousands of dollars over appearances in Nigeria and Ghana.